Happy World Food Day! For a healthy planet make a choice to eat more pulses. Pulses which are the edible seeds of legumes, are being celebrated in 2016 as the super crop for sustainability. 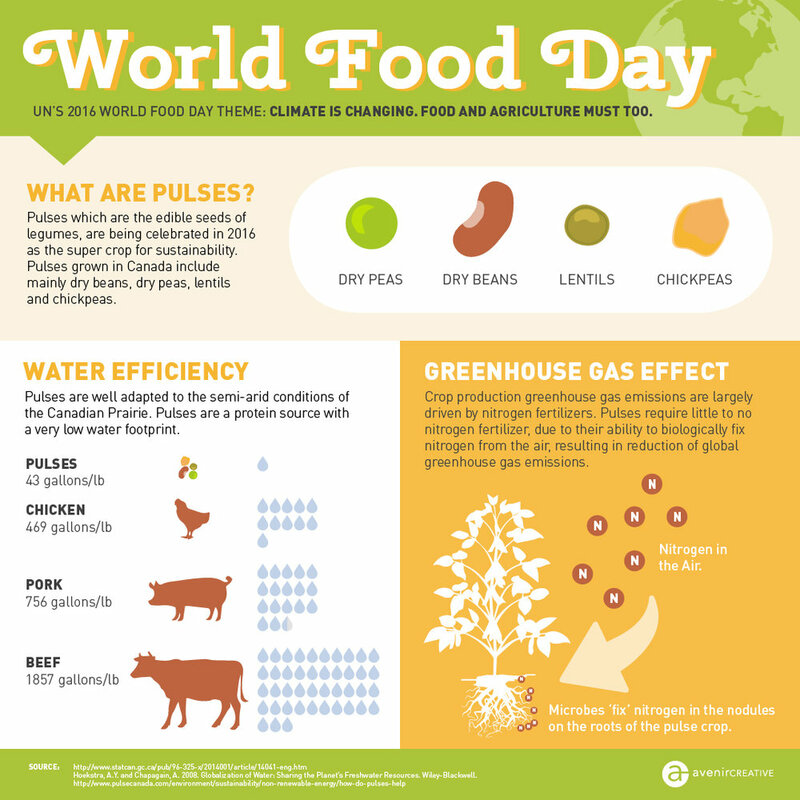 Pulses grown in Canada include mainly dry beans, dry peas, lentils and chickpeas.